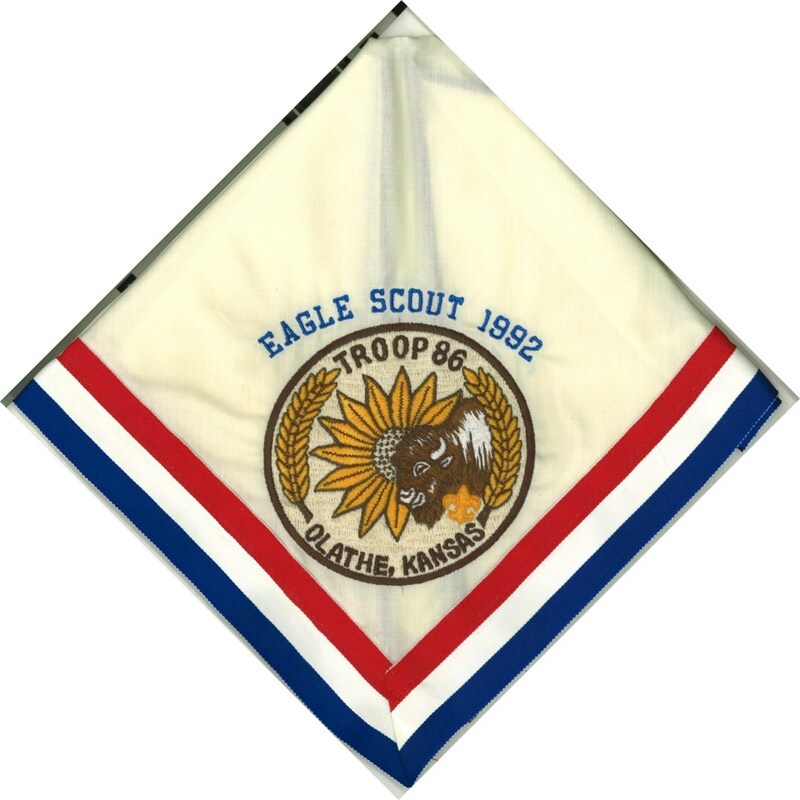 I was browsing eBay yesterday and the following item caught my eye…it is a drills manual from Troop 1 of Kansas City, Missouri. The print date is 1914. The preface reads, “Drills and marches are valuable because of the qualities they develop in the individual boy such as obedience to command, mental and physical alertness, and a good carriage.” How many Troops of today have their own drill manuals? I imagine not many do… More importantly, how many Scouts have a good carriage? Click on the link below to the item. 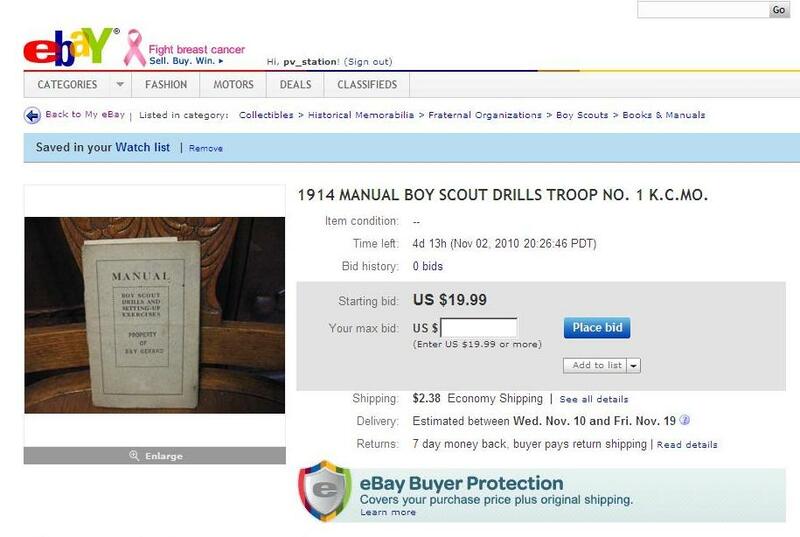 1914 MANUAL BOY SCOUT DRILLS TROOP NO. 1 K.C.MO. 1936 Junior Leader’s Training Course…Consider Yourself Americanized! 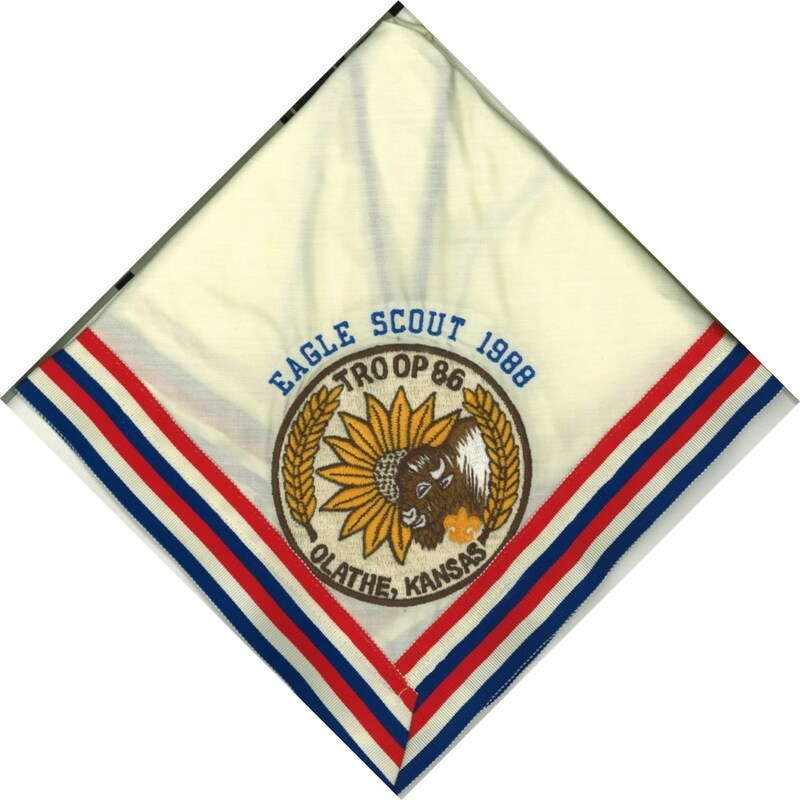 A good friend and scout memorabilia collector, Mike S. passed along the following images. 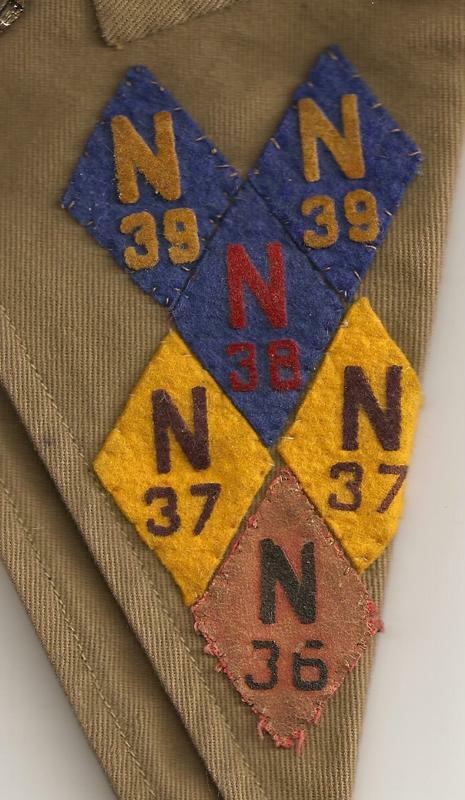 First is a certificate of completion for a Junior Leader’s Training Course held at Camp Naish on June 11-13, 1936. 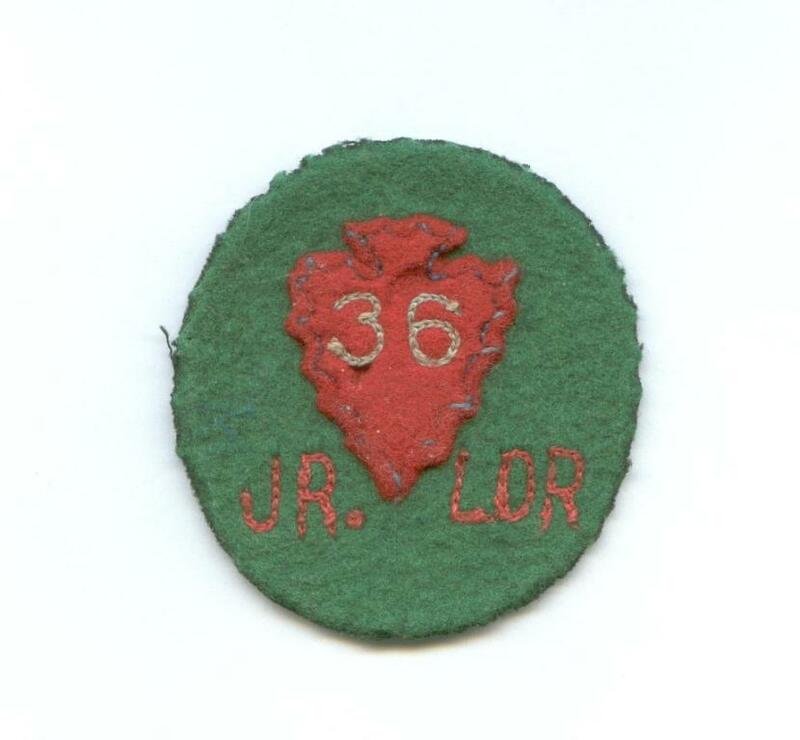 He picked the item up from an online auction site with the accompanying felt patch shown below. 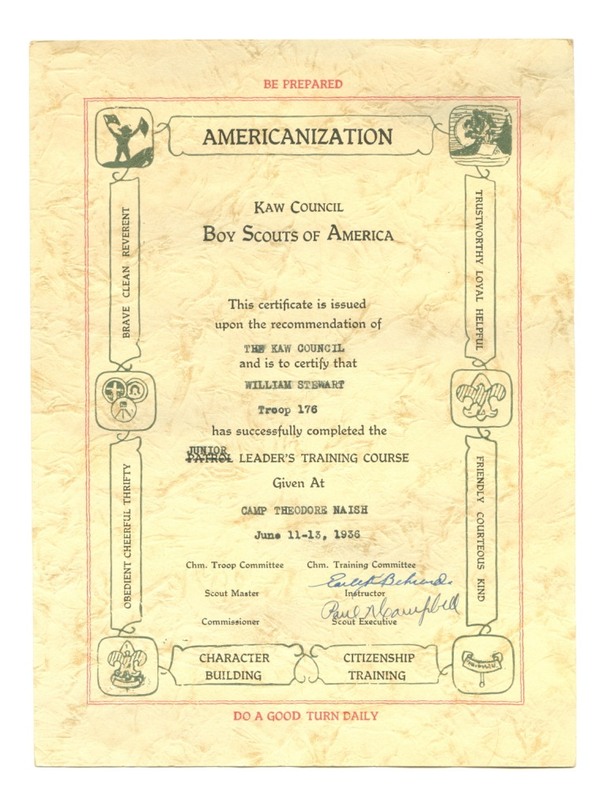 The certificate is signed by Earle Berhend, Instructor and early figure in Camp Naish history. Both the certificate and patch are in great condition. Nice find, Mike. Thanks for sharing! 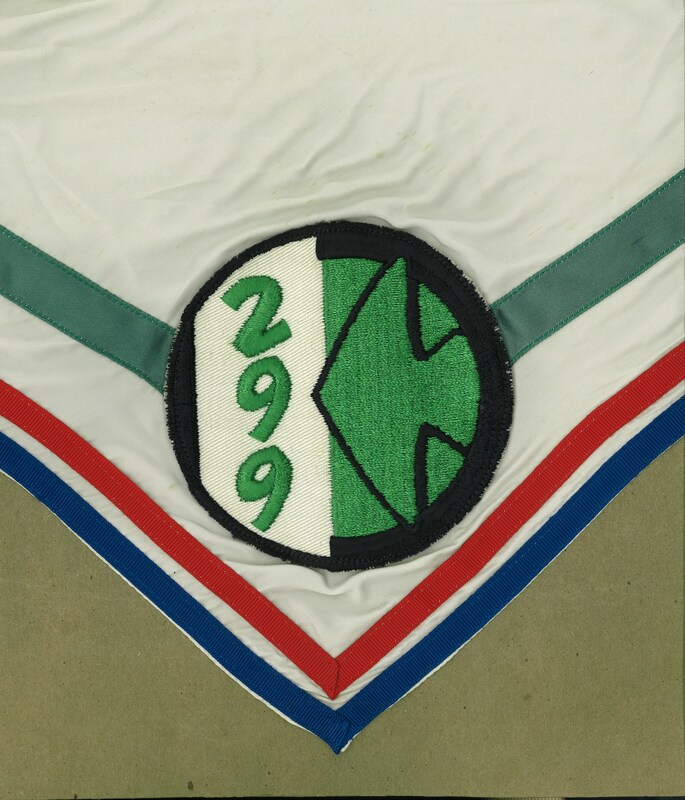 Note: I’ve heard a similar patch was made in 1934, but haven’t seen an image…keep your eyes peeled!